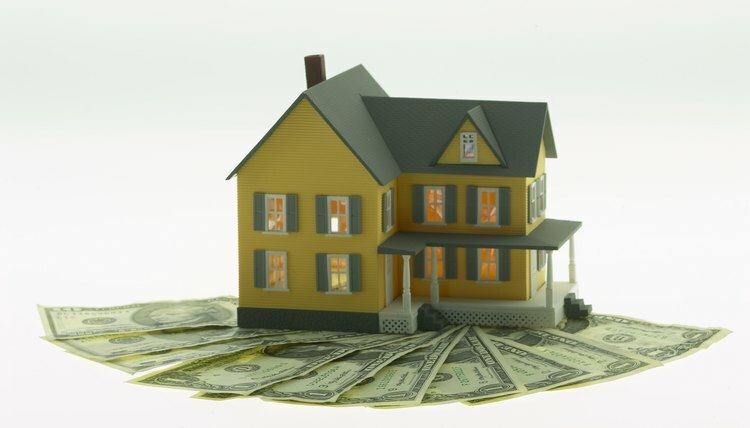 Does a Divorce Settlement Require a Refinance on an Upside Down Mortgage? An upside down or underwater mortgage is one in which the homeowner owes more to his mortgage lender than the house is worth. Typically, such a mortgage happens when the homeowner buys his house in a healthy real estate market that later takes a downturn. When a divorcing couple owns their home subject to such a mortgage, getting rid of the debt can be difficult, and the divorce settlement can require one spouse to refinance the mortgage as part of the divorce. When a home is not underwater, a divorcing couple may have an easier time splitting the family home, giving both the house and mortgage to one spouse while the other moves on to another living situation. When the home is underwater, however, spouses may be more likely to fight over who has to take it since it is now more of a debt than an asset. No matter who gets the house in the divorce, both spouses remain liable to pay the mortgage unless the mortgage is refinanced to remove one spouse's name. Thus, one spouse may find herself with no ownership rights to the house but liable for making the mortgage payments if the other spouse stops paying. Lenders have their own rules when it comes to refinancing, and many lenders base their decisions on factors like the equity in the home and spouse's income and credit history. It can be very difficult to find a lender willing to refinance a mortgage that is upside down, even if the divorce settlement or decree requires a refinance. The divorce court cannot force any lender to refinance the mortgage, so refinancing may not be possible even if the divorce decree orders one spouse to refinance as a term of the divorce settlement. Spouses can avoid confusion and further litigation on the issue of refinancing by checking with lenders before the divorce to see if refinancing is a possibility. Although refinancing an upside down mortgage may not be possible because of bank rules, spouses can still split their marital home in a divorce. One spouse can assume control of the house and responsibility to make payments. While the other spouse remains liable under the mortgage, the divorce decree can give her the right to sue her ex-spouse if he fails to make the mortgage payments as required. If he fails to pay the mortgage payments and the lender comes after her for the missed payments, she can attempt to collect the money from her ex-spouse. Collecting can be difficult, however, especially if the ex-spouse has filed for bankruptcy or simply doesn't have the money to pay. If it is not possible to refinance the home, both spouses may shy away from taking it in the divorce, forcing a sale of the home. If the spouses can come up with the money to cover the difference between what they owe and what the house is worth, they can agree to split the cost of selling the house. If not, the couple can pursue a short sale or foreclosure to rid themselves of the home. In a short sale, the lender agrees to take less than what is owed on the house as satisfaction for the loan. In a foreclosure, the lender follows a legal process to force the sale of the home to the highest bidder. Property division in a divorce can be a simple matter of dividing furniture and personal effects, but when real estate is involved, property division may be more complex. With investment real estate, even if there is no equity, the intricacies of valuing and dividing the property complicate the analysis even further. Can a Divorce Decree Force a Refinance?